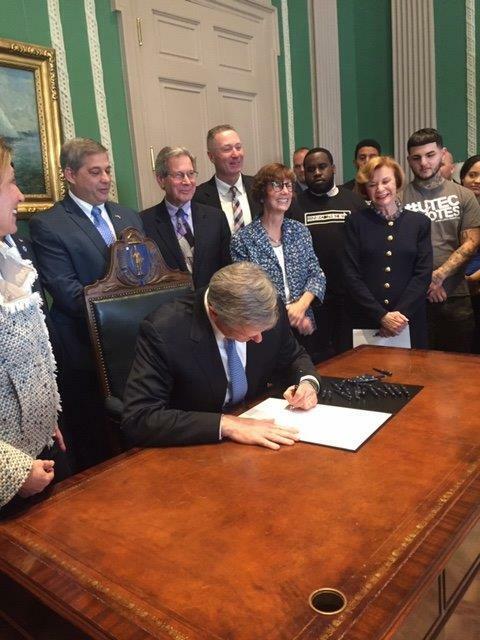 On November 8th, Governor Charlie Baker signed S2631, An Act to promote and enhance civic engagement. “With the enactment of this law, Massachusetts leaps to the forefront of civics education, joining states such as Florida and Illinois...", said Louise Dubé, iCivics Executive Director, leader of The Massachusetts Civic Learning Coalition. The Massachusetts Civic Learning Coalition is a roundtable of twenty civics education organizations, research institutions, school districts, and stakeholders committed to improving the quality and implementation of K-12 civic education for students across the state. Bill S. 2631 creates a Civics Project Trust Fund, which will be used to assist Massachusetts communities with implementing history and civics education state requirements, particularly in underserved communities. Read more about this historic step for civic education here. Read The Massachusetts Civic Learning Coalition press release, with a list of all members here.